Our present political climate seems to have made the issue of suffering more prescient than ever. And yet while issues come to light, make huge news for a day or two, it seems that the headlines become footnotes in a matter of days. And, soon we have moved on, as the tragedy from a week ago cascades into the annals of history. It’s as if nothing gains traction for very long, no matter how horrible or mind blowing the topic is. 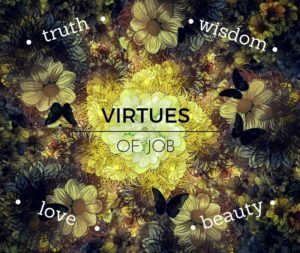 The Book of Job, however, is that book in the Bible, aptly placed in the Wisdom literature section, that forces us to deal with the question of suffering. Gustavo Guttieriez, wrote a book on Job, and he asks the question: “Is it possible, in the midst of unjust suffering, to continue to assert your faith in God?” As the Book of Job unfolds and we see Job’s response to his own suffering, the larger question that emerges is this: Can Job become an archetype for all of us when it comes to suffering and faith? All of us have known suffering. Whilst some of us may have experiences what we call more “first-world” suffering, we all have known pain, desolation, sadness, and grief. I have a dear friend from college, who while serving as a foreign service officer in New Zealand, lost her parents to a car crash while they were visiting her. She survived the crash; they did not. Then this past year, her only sibling died of a brain tumor. She nursed and nurtured him in her own home by herself this past year. Consequently, she reached out to me, and asked me to be a part of a podcast series called Written on Water. Her podcast is a response to this aching and this trying to make sense of suffering in her life. She is interviewing all kinds of people who deal with death, dying, and suffering so that others can be better prepared to live. There is no doubt that whether secular, agnostic, or religious, suffering is one of life’s eternal questions. While I was being interviewed, I talked a lot about the theology of the incarnation as one way that we Christians understand suffering. In short, Christ become truly human and, therefore, in his full humanity, he also experienced human pain. Thus, even in the most ancient form of the Nicene Creed, it is written that he descended into hell. While those words trigger a visceral, negative response for most of us, what they really mean is that Christ was so fully human that he went so far as to take on our human pain, which ultimately was redeemed through the cross. Our pain is so real and so true that even our Lord knew it. Now Job ‘s story is a bit different. Job is not the Lord. Job is a human. And poor Job is the subject of a wager between God and the Satan. For the Satan believes that the only reason that Job loves God is because Job has a lot of good stuff. Take all that stuff away from him and let’s see Job “curse you to your face.” So, we get this very strong argument that the love of God only comes because we expect good things in return. In modern parlance and theology, this is called the prosperity gospel. Believe in God and get good things. But, Job proves the Satan wrong and continues to love God despite the abhorrent suffering he encounters. But, today, we encounter Job at the point in which he has had enough. He cries out, like the Psalmists do, and questions God and God’s motives. He is impoverished, sitting in boils on his skin, and his children have been killed. In essence, Job is asking where in the world God has gone as he looks around at his suffering. Job demands to know why God has so forsaken humanity. Most of us have felt as Job does– that we need answers to our suffering. I know when I’m suffering, the natural response is to ask, Why? And that often promulgates more self-absorption and introspection. I want answers because what is happening is not congruous with my upright and blameless self. It seems we all may identify a tad with Job. But, God’s answer to Job is what we least expect. It is what makes God God and we his creatures. Your ways are not my ways, says the Lord. We have heard that before. God does not defend God’s action or inaction. God does not even engage Job on the question of suffering. No, God does a complete about face and begins to mention the earth, the clouds, the waters. He says, “Where were you when I laid the foundation of the earth? Tell me, if you have understanding. Who determined its measurements–surely you know! Or who stretched the line upon it? In these words, we hear three things. One is that God is not engaging in the question of suffering, but rather shifts the conversation to the majesty of creation and the world in which Job resides. This passage resonates loudly with Genesis 1 in which God calls the world into being. Second, God does NOT condemn Job for asking these questions, even though Job’s friends are deeply afraid that such questioning is heresy. Rather, God shifts Job’s perspective to see beauty in and amidst this world full of suffering. But beauty can change us, too. Have you ever seen a baby sleeping in her crib and suckling the air? Have you ever held a dog and touched his beautiful fur and been calmed? Have you ever sat in a cathedral and allowed the beauty of the stained class and the ionic columns to shape your sense of the holiness and beauty of God? God didn’t. So, God shows Job this reflection, this mirror, this vision of creation in the midst of the suffering. Perhaps, in hope, of finding some balance between the two. Perhaps, in hope, of reminding Job that God existed before things went South. oved one, but one of a God who is intimately involved and present in the life of Job. God has become integrated with creation before Job’s eyes.